This short article describes the high regard with which Muslim Civilisation has held libraries as centres of knowledge. It reviews major contributions in the field and in particular to our modern books and libraries. Figure 1. A class at the Gazanfar Aga Madrasa. Topkapi Palace Museum Library, H. 889. Figure 2. The first pages of the hand written manuscript of the Hajji Khalifa's Jihannuma. Suleymaniye Library, Haci Mahmud 5616. `When a writer wished to publish a book, he first made notes and then wrote out an original manuscript (asl) which was initially called the 'draft' (muswadda). While such a draft naturally had a value, it did not constitute publication. The word used for publication, kharraja, means 'let (it) go out' or even 'come out' or 'be published'. The author was thus required to present his book to the public. This he did in the Mosque by oral reading or dictation. Scholars would dictate numerous volumes of their work in the Mosques where the general public gathered to hear them and professional warraqs copied and turned dictations into books. Even when the books were especially commissioned, they would still be published in this way. For example, a prominent ninth-century philologist, al-Farra (d. 206H/822CE) was asked by a friend to write a book to guide him in the understanding of the Qur'an so that he would not be ashamed when the Emir, to whom he was attached, asked him questions about any passage from it. Al-Farra, who lived in Baghdad, agreed. He also announced that he would dictate a book of this nature in the Mosque - and it is in this way that the work was published.’ . The Mosques played another central role, acting as libraries. One of the noblest traditions long held by the Muslims was to bequeath their manuscripts and book collections, sometimes thousands of volumes, to the Mosques . Pedersen explains that from the beginning, Mosques were not just devoted to worship, but were also schools and seats of learning, and so it was normal that people should give their libraries to the Mosques, and an entire book collection might be transferred to a Mosque as a self-contained library or dar al-kutub . Throughout the Muslim lands, from the Atlantic to the Persian Gulf and beyond, Muslims regarded their places of worship as havens for the safe keeping of their valued books, and so in large numbers, they bequeathed them their collections. In Al-Qayrawan, the manuscripts were endowed to students by those who sought Allah's favour and His pleasure with them, as was recorded on many such manuscripts . And similarly, al-Zaidi founded a Mosque and library named after him, and before his death gifted his own private collection to `all students and seekers of knowledge.' Al-Jaburi reported that Naila Khatun, a wealthy widow of Turkish origin, founded a Mosque in memory of her deceased husband, Murad Afandi. She attached to the Mosque a Madrasa and a library for which she reportedly bought many valuable books and manuscripts . In Aleppo, the largest and probably the oldest Mosque library, the Sufiya, located at the city's Grand Umayyad Mosque, contained a large book collection of which 10,000 volumes were reportedly bequeathed by the city's most famous ruler, Prince Sayf al-Dawla . Scholars too followed the same path. In Iraq, the Abu Hanifa Mosque had an impressive library, which benefited from the gifts of private collections, amongst which was one by the physician, Yahia Ibn Jazla (d. 493H/1099CE) and the writer-historian al-Zamakhshari (d. 538H/1143CE) . Al-Fasi states that in 955H/1548CE, the Qarawiyyin teacher, Abu Abd Allah Muhammad al-Ajmawi, bequeathed his large work, al-Qawl al-Mutabar to the students of the Mosque , and Ibn Khaldun bequeathed to the same Mosque library his Kitab al-Ibar, to be lent only to trustworthy men for the period of two months . Three scholars, amongst whom was Yaqut, bequeathed their collections as waqf to the Zaidi Mosque library . Most often, this gesture was a mark of gratitude by the scholar towards the Mosque for their upkeep and support . If the majority of Mosques had modest libraries, some contained absolutely rich collections, including some rare and inestimable collections. Many scientific works could have found their way into Mosques, according to Sibai, as a gesture of gratitude by scientists for being granted material comfort, free accommodation and stationary . Indeed, it was common for Mosques to shelter and assist travelling scholars. Al-Ghazali and al-Baghdadi lived for a period of time in one of the minarets of the Umayyad Mosque in Damascus , whilst Ibn al-Haytham is said to have resided for a while in a qubba (domed room) above one of the main entrances of the Al-Azhar Mosque . Yaqut, for instance, on his death in 627H/1229 CE, left his books as waqf (pious bequest) to the Zaidi shrine (also known as the Zaydi Mosque) on Dinar Street in Baghdad , and so did Al-Baghdadi . The Aqsa Mosque in Jerusalem, Islam's third holiest shrine, had four libraries. It had several book collections in the Nahawiya and Ashrafyia Madrasas, and a library of even greater stature: the Farisiya Madrasa. Next to it is the Mosque of Umar which was founded during the reign of the second caliph Umar Ibn al-Khattab (Caliph 12-23H/634-644CE). It developed rapidly into an important academy for religious and secular studies and included a large book collection which was scattered among the Mosque's four Madrasas. One of these was the Nassiryia Madrasa, founded by Nasr al-Maqdisi, also known as the Ghazzaliya in a tribute to the philosopher al-Ghazali (d. 505H/1111CE) who sequestered himself there until he had completed the writing of the celebrated work Ihya al-Ulum Eddin (The revival of religious sciences). Figure 3. The cover page of a hand written Qur'an shows the signature of the owner of it. Suleymaniye Library, Ayasofya 1. Ibn Tulun Mosque in Old Cairo, eventually, became one of the centres of higher education in Cairo , and Ibrahim observed that the library of this Mosque contained some of the most celebrated works on medicine . The Qarawiyyin of Fes had three separate libraries, the most prestigious of which being the Abu Inan Library, also known as the Ilmyia library, whose original building is still standing . Founded by the Merinid Sultan, al-Mutawakkil Abu Inan, the library opened its doors to students and the general public in 750H/1349CE. An avid reader and collector, the Sultan deposited in his newly founded library books on various subjects that included religion, science, intellect and language, and he also appointed a librarian to take charge of the affairs of the library . Other Moroccan towns also had large book collections in their Mosques . Pedersen refers to the large numbers of manuscripts that are found in the Mosques of Zaytuna in Tunis, Tlemcen in Algeria and Rabat in Morocco . The Zaytuna of Tunis was possibly the richest of all. It had several collections totalling in the tens of thousands of books. It is said that most rulers of the Hafsid dynasty vied with each other for the prestige associated with maintaining and strengthening the book collection at the Mosque; which at some point exceeded 100,000 volumes . Also in Tunisia, in Al-Qayrawan, the Great Mosque has preserved some of the remnants of its great intellectual apogee and memory of its scholars through books and documents they wrote in their own hands, or that they assigned others to write . The richest collections of manuscripts assembled in the Mosque University of al-Qayrawan are those dating from its Aghlabid times (9th Century CE) . These documents which included unique cultural data formed part of the curriculum taught at the great Mosque then . The collection in the ancient library of Al-Qayrawan is in large part written on parchment, and is the largest and best known collection in the Arab Islamic world . 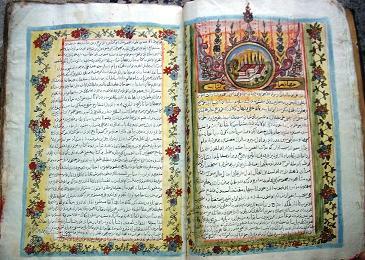 Mosque libraries also included large numbers of scientific works, and manuscripts no-one suspected they would possess. Abd al-Wahab located at the Qayrawan's Atiqa Library an Arabic translation of Tarikh al Umam al-Qadima (history of Ancient Nations) which was written by Saint Jerome sometime prior to his death in 420CE . Also, in the same Mosque library, the same Abd al-Wahab states that it holds works such as Pliny's on botany which was translated from Latin . The Ahmadi Mosque in Tanta (Egypt) included manuscripts on 25 different subjects including medicine, arithmetic, algebra, and the art of dye making . The Zaytuna had a library, al-Abdaliyah which had a large collection of rare manuscripts and which attracted men of learning from all parts . When the Spaniards occupied Tunis between 940 and 981H/1534 and 1574CE, they ransacked its Mosques and libraries, and removed many of the precious books and manuscripts . The Turkish dynasties which expelled the Spaniards restored and expanded the Zaytuna Mosques, its libraries and Madrasa and made it again a high centre of Islamic culture . The Ottoman Bey, Ahmad Pasha I, did not just revitalise the Ahmadiya Library, he also organised and generously supported education at the Zaytuna, besides depositing large numbers of books in the Mosque . New courses were introduced in 1896 including physics, political economy and French . Scores of figures of Arab - Islamic culture received their education at Al-Zaytuna. Amongst these were Tawfiq al-Madani, and above all, Abdel-Hamid Ibn Badis, the figure behind the revival of Algeria's Islamic identity in the 1940s. The rulers played a central role in the supply and maintenance of such libraries. Al-Manstansiryyah of Baghdad had a rich library made of great parts of books transferred from the very private library of the Caliph . In Damascus, Nur Eddin Zangi gave large collections of books to the many libraries of the city , whilst in Cairo al Qadi al-Fadil presented his schools with 100,000 volumes on various subjects for the use of students . In the Maghrib, Abu Yaqub, the Almohad ruler, Deverdun says, `had a great soul and love for collecting books.' He founded a great library, which was eventually carried to the Casbah, and turned into a public library, under the management of erudite Moroccan scholars . In Spain, the Reyes of Taifas, Princes who succeeded the Umayyad dynasty in the early 11th century, also became celebrated for their libraries at Saragossa, Granada, Toledo, and elsewhere . Some fifty years or so, before them, in the same country, Al-Hakam II's (349-365H/961-976CE) collection was estimated at between 400,000 to 600,000 books . He engaged copyists and bookbinders, and had agents sent to every province to procure books for him by purchase and by transcription . Private libraries also thrived. Under Almohad rule, in Morocco, lived the famed 13th century Maktaba of Ibn Tarawa, a great amateur chronicler, besides being a manuscript writer; the Maktaba of al-Qaysi and the Maqtaba of Ibn as-Suqr, the main librarian of the imperial library, his collection requiring five full camel loads to be carried . Khizanat Sabur was established in the 11th century by Abu Nasr Sabbur b. Ardashir the minister under the Buwwayhids in Baghdad. The library is recorded to have been a centre for eminent persons and learned men among whom discussion and debate often took place . Amongst the scholars of Islam, there was none who could be found without a collection of books of his own. Shalaby concluded that the number of these libraries was equal to the number of learned people . Both were in their thousands. The library of the physician Ibn al-Mutran, had, according to Ibn Abi Usaybi'a, more than 3,000 volumes; and three copyists worked constantly in his service . Also we hear of a private library in Baghdad, in the 9th century, which required 120 camels to move it from one place to another . A more impressive aspect of Islamic libraries was their organisation and management; remarkable as it proceeded out of not very much in terms of precedents. Descriptions of both public and private libraries speak of the classification of books and their arrangement in separate cases or even in separate rooms in the Baghdad libraries . Great care, says Olga Pinto, was taken concerning the buildings which were to serve as public libraries. Some of them, like those of Shiraz, Cordova and Cairo, were placed in separate structures, with many rooms for different uses: galleries with shelves in which the books were kept, rooms where the visitors could read and study, rooms set apart for those in charge of making copies of manuscripts and rooms which served for literary assemblies . There was accurate cataloguing of all contents to help readers. One single private collection required 10 volumes , whilst in Spain, the catalogue for the works in al Hakam's library is alleged to have consisted of 44 volumes . The contents of each section of a bookshelf were also registered on a strip of paper attached to the shelf outside; which bore indications of works which were incomplete or lacking in some part . Cataloguing of manuscripts was the norm, most particularly in the larger libraries where it was necessary to aid accessibility, and to give librarians control over the quality and quantity of their resources. Citing the book of al-Jawza by Ibn al-Qadi, Al-Fasi wrote that when the Abu Inan Library was founded in 750H/1349CE at the Qarawiyyin Mosque in Fez, its founder, Sultan al-Mutawakkil appointed a librarian whose first duty was to record the book collection . During his investigation at Tunisia's Qayrawan Mosque, Shabuh unearthed a catalogue which was compiled in 693H/1293CE, and which is quite detailed in its description of the contents of the Mosque . Until 1370H/1950 CE, the book collection of al-Azhar library, which by then had exceeded 120,000 volumes, was recorded in a sixty volume catalogue totalling about 3,500 pages . A manuscript of that period was about the size of the modern book, containing good quality paper with writing on both sides, and bound in leather covers . People could buy books. An average bookshop contained several hundred titles, but larger bookshops had many more on offer. The celebrated bookshop of Ibn al-Nadim, the tenth-century bibliophile and bookseller, was said to be on an upper story of a large building where buyers came to examine manuscripts, enjoy refreshment and exchange ideas . Given Islam's love for knowledge and its elevation of scholars and writers to exalted positions, the evolution of a publishing industry was a foregone conclusion at the advent of Islam . Within one hundred years after the advent of Islam, a sophisticated and highly integrated book industry was flourishing in the Muslim world. Techniques were evolved for each stage of book production: composition, copying, illustrating, binding, publishing, storing and selling. Reading books, as well as hearing them being dictated, became one of the major occupations and pastimes. In certain major cities, such as Baghdad and Damascus, almost half the population was involved in some aspect of book production and publication. However, book production was both an industry and an institution, an institution with its own customs and practices, its own checks against fraud and misrepresentation and, above all, an institution that ensured that learning and books were not the prerogative of a select few but were available to all those who had the desire. It also ensured that the scholars and authors themselves also benefited both economically and in terms of recognition from their work . The literary necessities of a highly educated population, the multiplication of manuscripts, the requirements of innumerable institutions of learning, in turn stimulated the book industry . Within two hundred years of the death of the Prophet, the book industry was to be found in almost every corner of the Muslim world . Indeed, the whole of Muslim civilisation revolved around the book . Libraries (royal, public, specialised, private) had become common; bookshops were to found almost everywhere (small, large, those adjacent to Mosques, in the centres of cities, in collectives, in special sections of the bazaars); and bookmen (authors, translators, copiers, illuminators, librarians, booksellers, collectors) from all classes and sections of society, of all nationalities and ethnic backgrounds, vied with each other in the production and distribution of books . Z. Sardar and M.W. Davies: Distorted Imagination; London: Grey Seal Books, 1990, pp. 96-7. S. P. Scott: History of the Moorish Empire in Europe; Philadelphia and London: J. B. Lippincott Company, 1904, vol. 3; p. 522. O. Pinto: `The Libraries of the Arabs during the time of the Abbasids,' in Islamic Culture 3 (1929), pp. 211-43. Yaqut: Mu'jam in J. Pedersen, The Arabic Book, translated by G. French, Princeton-New Jersey: Princeton University Press, 1984, p. 128. R. Landau: Morocco: Elek Books Ltd, London 1967. p.80. G. Le Bon: "La Civilisation des Arabes", IMAG, Syracuse, 1884, p. 343. Z. Sardar and M.W. Davies: Distorted Imagination; op cit; pp. 101. Al-Muqaddasi, Shams Al-Din Mohammad Ibn Ahmad, Kitab Ahsan al-taqasim fi ma'rifat al-aqalim, edited by M.J. de Goeje, 1877, 2nd edition, 1906, p. 449. S.P. Scott: History; op cit. ; vol. 3; p. 470. Z. Sardar and M.W. Davies: Distorted Imagination; op cit. ; pp. 97. Z. Sardar and M.W. Davis: Distorted Imagination; op cit. ; pp. 98. See Ruth Mackensen's articles: `Four Great Libraries....', op cit., and `Background to...' op cit. J. Pedersen: The Arabic Book, op cit., p. 126. M. Al-Rammah: The Ancient Library of Kairaouan and its methods of conservation, in The Conservation and preservation of Islamic manuscripts, Proceedings of the Third Conference of Al-Furqan Islamic Heritage Foundation, 1995, p. 32. Al-Hadarah (periodical) No 33, p. 8, quoted by G.Awad: Khawazin al-Kutub, p. 231 in A. Shalaby: History, op cit, p. 100. M. Sibai: Mosque Libraries: An Historical Study: Mansell Publishing Limited: London and New York: 1987. P. 92. A al-Fasi: `Khizanat al Qarawiyyin wa nawadiruha,' Majallat Mahad al-Makhtutat al-Arabiya 5 (May 1959): 3-16. p. 9. W. Heffening; J.D. Pearson: maktba; Encyclopaedia of Islam, vol. VI, pp. 197-200; at p. 199. 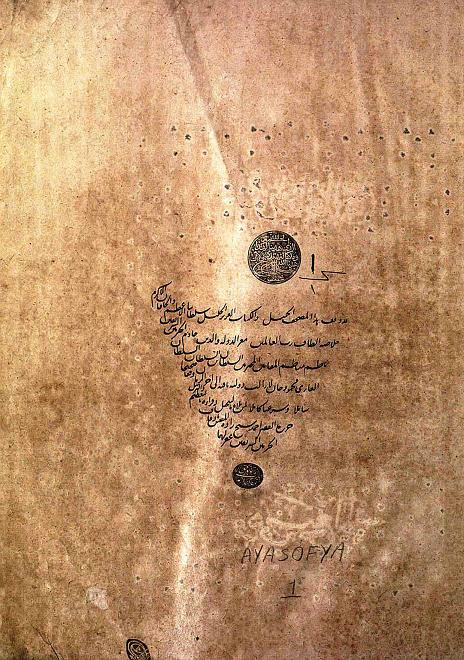 Ibn al-Imad: Shaderat al-dahab, v: 122, in A. Shalaby: History, op cit., p. 101. M. Sibai, op cit., p 90. R. Mackensen. "Background of the History of Muslim libraries", The American Journal of Semitic languages and literatures, 51 (January 1935), p 123. M. Sibai: Mosque Libraries, op cit., p 90. J. Pedersen, Some aspects... Op cit., p, 528. J. Jomier: Al-Azhar; Encyclopaedia of Islam, Vol. I, Leyden; Brill; pp. 813-21. p. 816. R.S. Mackensen: `Four Great Libraries of Medieval Baghdad.' The Library Quarterly 2 (July 1932): 279-99.pp. 279-80. J. Pedersen (G. Makdisi): "Madrasa", in Encyclopaedia of Islam; vol. 5; 1986, p. 1125. Kurd Ali, Muhammad: Khitat al-Sham. 6 Vols. Damascus: Al-Matbaa al Haditha, 1925-8. 6: p. 119. Jonathan Berkey, The Transmission of Knowledge in Medieval Cairo. A Social History of Islamic Education. Princeton, NJ., Princeton University Press 1992, p. 52. J. Pedersen: Some aspects... op cit, p. 527. M. Sibai, Mosque Libraries, op cit, p 55. E. Levi Provencal: Nukhab Tarikhiya Jamia li Akhbar al-Maghrib al-Aqsa, Paris: La Rose, 1948: pp 67-68. For details on the foundation of Abu Inan library, see A. Tazi: la Mosquee... vol 2, p. 331. J. Pedersen: The Arabic Books, op cit, p. 129. A M Abd al-Qadir. `Al-Maktaba al-Tunusiya wa Inayatuha bi Almakhtut al-Arabi.' Majallat Mahad al-Makhtutat al- Arabyia 17 (May 1971): 179-87, P. 186. M. Al-Rammah: op.ct., pp 29-47. p. 31. S and N. Ronart: Concise encyclopaedia of Arabic civilization; The Arab West; Djambatan; Amsterdam; 1966. pp.37-8. M. al-Rammah: The Ancient Library, op cit, p. 31. H H Abd al-Wahab, `Bait al-Hikma al-Tunusi, Bath Tarikhi fi Awwal Musasa Ilmiya jamia fi al-Bilad al-Ifriqiya," Majallat Majma al-Lugha al-Arabiya (Cairo) 30 (1963-4), p 128, in M. Sibai, op cit, p 98. A. Abd-Alwahab (1965-67) in H. Djait et al: Histoire de la Tunisie (le Moyen Age); Societe Tunisienne de Difusion, Tunis; p. 193. Al-Nashar, Ali Sami; al-Rajihi, Abdu; and Abu al-Futuh, Jalal. Fihris Makhtutat al-Masjid al-Ahmadi bi-Tanta. Alexandria: Matbaat Jamia al-Iskandariya, 1964, pp 1-2, in M. Sibai, Mosque Libraries, p 98. M.J. Deeb: Al-Zaytuna, in The Oxford Encyclopaedia of the Modern Islamic World; edited by J.L. Esposito; Oxford University Press, 1995; Vol. 4. p. 374. M. Sibai, Mosque Libraries, op cit., p 60. M. J. Deeb: Al-Zaytuna, op cit., p. 375. A. Shalaby: History; op cit. ; p.102. Al-Maqrizi, Kitab al-Khitat, ed. Bulaq; partial French tr. by U. Bouriant and P. Casanova, Description topographique et Historique de l'Egypte, Paris, 1895-1900; Cairo, 1906-20. II, p. 366. G. Deverdun: Marrakech; Editions Techniques Nord Africaines; Rabat; 1959. p.265. J. Pedersen: The Arabic; op cit. ; p 121. G. Deverdun: Marrakech; op cit. ; p. 265. A Shalaby: History; op cit. ; p.99. F. B. Artz. The Mind of the Middle Ages. Third edition revised; The University of Chicago Press, 1980, p.153. O. Pinto: The Libraries; op cit. ; p. 227. F.B. Artz: op cit. ; p.153. Al Maqqari: Nafh al-Tib, I, P. 186. O. Pinto: The Libraries; op cit. ; p. 229. Al-Fasi: Khizanat al Qarawiyyin... op cit,; p. 4. I. Shabuh: `Sijil Qadim li-Maktabat Jami al-Qayrawan.' Majallat Mahad al-Makhtutat al-Arabiya 2 (November 1956): pp. 339-72. Abu al-Wafa al-Maraghi: `Al-Makhtutat fi al Maktaba al-Azhariya.' Majallat Mahad al-Makhtutat al-Arabiya 1 (May 1955): 56-61, at p. 60. Z. Sardar and M.W. Davies: Distorted Imagination; op cit. ; p. 101. Yaqut: Mu'jam in J. Pedersen: The Arabic Book, op cit., p. 128. A. Shalaby: History; op cit, pp 82-3. See the excellent account on that given by A. Shalaby: History, op cit., pp. 82-4. E. Levi Provencal: Nukhab Tarikhiya Jamia li Akhbar al-Maghrib al-Aqsa, Paris: La Rose, 1948. Pp. 68-69. E. L. Provencal: Nukhab Tarikhiya Jamia; pp. 67-8. R. S. Mackensen: Background of the History of Muslim libraries.' The American Journal of Semitic languages and Literatures, 52 (October 1935) 22-33, p. 24. G. Deverdun: Marrakech; op cit. 265. A.Tazi: la Mosquee, op cit., p. 124. Y. Eche: Les Bibliotheques Arabes, Publiques et Semi Publiques en Mesopotamie, en Syrie et en Egypte au Moyen Age. Damascus: Institut Francais. 1967, p. 134. R.S. Mackensen: Background; op cit. ; p. 24. Z. Sardar and M.W. Davies: Distorted Imagination; op cit. ; p. 97. S.P. Scott: History; op cit. ; vol. 2; P. 387. Z. Sardar and M.W. Davies: Distorted Imagination; op cit; pp. 99-100. F.B. Artz: The Mind; op cit. ; p.152. G Le Bon: La Civilisation; op cit. ; p. 391. G Le Bon. p. 381. J. Pedersen: The Arabic Book, op cit., p. 59.